Wealthy Israeli citizens on 'transplant tours' were the main recipients of trafficked organs in the recently-exposed 'Kosovo ring', according to an investigative report by the British 'Guardian' newspaper. The Kosovo Liberation Army, and the Prime Minister of Kosovo, Hashim Thaci, have also been implicated in the organ trafficking ring. The Parliamentary Assembly of the Council of Europe has launched an investigation, and parliamentarians stated that their findings so far show that the government of Kosovo "favored a pragmatic political approach, taking the view that they needed to promote short-term stability at any price, thereby sacrificing some important principles of justice." Israeli citizen Moshe Harel was known as the 'fixer' in the organ trafficking ring, matching up donors with people willing to pay huge sums for a transplant. 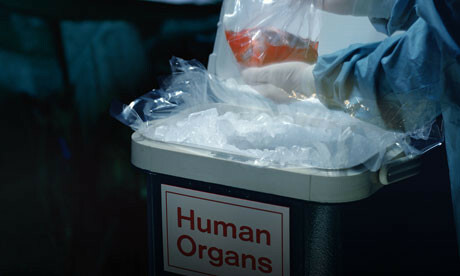 Organ trafficking is illegal under international law, and members of the Kosovo ring are being pursued by Interpol, the international investigative agency. Suspects Moshe Harel and Dr. Yusuf Ercin Sonmez, who allegedly carried out the operations outside the Kosovar capital city in a private clinic, are both on the run after evading arrest in Kosovo. This is not the first time that Israelis have been implicated in international organ trafficking schemes. In a massive FBI sting operation in New Jersey in 2009, Levy Izhak Rosenbaum was arrested along with 44 others and charged with buying and selling organs, using Israeli doctors as intermediaries. According to the New Jersey Ledger, At a 2008 meeting with the undercover agent, Rosenbaum claimed he had an associate who worked for an insurance company in Brooklyn who could take the recipient's blood samples, store them on dry ice and send them to Israel, where they would be tested to see if they matched the prospective donor, authorities said. It's not yet known if there is any connection between Rosenbaum's operation and the 'Kosovo ring' currently under investigation. Jonathan Ratel, who serves in Kosovo as part of the EU's rule of law mission, has announced that the seven suspected Kosovons working as physicians for a clinic called Medicus in the capital, Pristina, belong to an international network that trades in the organs of people suffering from extreme poverty, the Associated Press reported. Among the suspects are some of Kosovo's most famous doctors. One of them used to be permanent secretary of health and gave the clinic a false license. Also Dr Lutfi Dervishi, a university professor, who is said to be the ringleader of the group, set up the operations. The Republic of Maldives, an island nation in the Indian Ocean and the smallest Muslim country in the world, has been enraged in the past few days due to an Israeli delegation of eye surgeons who arrived to treat locals' eyesight problems. The association's website stated that there was no possible way the Jews came to Maldives without a hidden agenda. Adhaalath explained that the Israeli physicians are part of an Israel-Jewish organization responsible for sending doctors all over the world to harvest non-Jewish organs and implant them in Jews claiming it is the same thing Israel had done to Palestinian bodies. SCANDAL - Did Israelis kill Palestinians for organs? 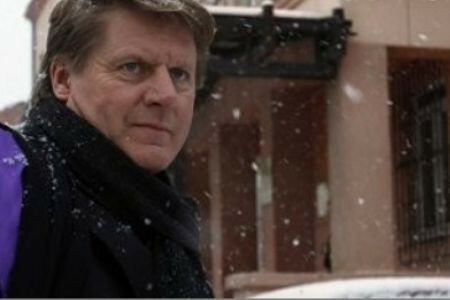 Swedish journalist Donald Bostroms claims that he can prove Israeli soldiers have been harvesting organs from slain Palestinians have sparked a diplomatic row between Stockholm and Tel-Aviv. Israel has admitted to unlawfully taking organs from dead people, including Palestinians, in the 1990s without the prior permission of the families of the donors. Hospital staff delivered a healthy baby, but the woman later needed plastic surgery for burns sustained in fire started by diathermic needle. 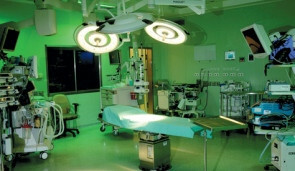 A woman suffered burns during a cesarean operation when a fire broke out in the operating room at Sheba Medical Center in Tel Hashomer in 2008, a report by a Health Ministry inquiry committee reveals. Hospital staff had washed the woman with various chemical solutions to sterilize her before the operation and then dried her off. But when she was brought to the operating room, the surgeon asked that the relevant areas of her body be washed down again with an alcohol solution, just to be doubly sure. The surgeon then cut into her with a diathermic needle. But the instrument, which uses an electric current, emitted a spark, and when the spark touched the alcohol on her body, it burst into flame. After putting out the fire and bandaging her, the staff continued the operation and delivered a healthy baby. But the woman later needed plastic surgery for the burns, including a skin transplant in her buttocks and thighs. Following several earlier cases in which a diathermic needle caused a fire, the ministry had published rules aimed at preventing such fires. Among other things, it said the device cannot be used until the patient is completely dry - a rule evidently not followed in this case. The inquiry committee noted that the danger of fire is particularly great during operations, like a cesarean, performed with the legs elevated, since this causes the alcohol solution to collect under the buttocks. It also recommended that the ministry require the use of nonflammable sheets in operations involving diathermy. In the Sheba case, the problem was compounded when the sheets caught fire. The ministry said both the surgeon and the nurse shared responsibility for the error. However, because they had cooperated fully with both the ministry's inquiry and Sheba's internal inquiry, the ministry's ombudsman decided that no steps should be taken against them beyond including the report in their personnel files. Sheba said it had learned the lessons of the incident. It also stressed it gave the woman "optimal care until she recovered." Medical tourists are getting precedence, while the hospital to bed ratio in Israel is among the lowest in the OECD. On Thursday, Haaretz health correspondent Dan Even revealed a disturbing trend: Hospitals are favoring foreign patients over Israeli citizens. Over the last few years, medical tourism has become an enticing source of income for hospitals, but it risks undermining the service Israeli patients receive. The temptations of medical tourism are enormous. Medical tourists arrive in Israel for a short stay, get treated, pay and disappear. These provider-customer relations are certainly more convenient than a complex, ongoing commitment to a local patient. The hospitals say medical tourism bringing in around NIS 200 million a year according to the Health Ministry, NIS 500 million according to other estimates helps them develop and thrive. Reality, however, is very different. The tremendous income reaches the hospitals unmonitored, the hospitals market themselves through a private organization chosen without a tender, and the health-care system has no way to channel profits to the needs for which they are ostensibly sought. Meanwhile, waiting lists for operations and specialist appointments are getting longer. The hospital to bed ratio in Israel is among the lowest in the OECD, intensive-care units are suffering an acute bed shortage, and all departments are experiencing a disconcerting lack of doctors and nurses. The vast sums brought in by medical tourism could help develop medicine in Israel. But this benefit will only be true if medical tourism is tightly monitored and hospitals are forced to act transparently, investing their profits in nothing but the well-being of Israeli patients. The Health Ministry must set up a special monitoring process that would investigate all aspects of medical tourism and put in place strict regulations to prevent criminal practices like paying private commissions to physicians and outsourcing appointment-making. Licenses should be withdrawn from doctors involved in such practices. Such monitoring may yet make medical tourism a positive instrument of leverage. Meanwhile, with the lack of monitoring to keep hospitals conduct in check, medical tourism is little more than an albatross around the Israeli patient's neck. Haaretz reveals medical tourists enjoy medical conditions Israelis can only dream of, including short waiting times, right to choose their own doctor and private rooms. Health Ministry Director General Dr. Ronny Gamzo appointed Thursday an investigation committee to probe the medical tourism industry in Israel, in response to a Haaretz investigation into the matter. The Haaretz probe revealed that medical tourists to Israel enjoy medical conditions Israelis can only dream of, including very short waiting times for procedures, the right to choose their own doctor and private rooms. And these benefits may well be coming at the expense of Israeli patients' care. "The issue of medical tourism is complicated and the question of how to wisely balance the industry's advantages and disadvantages should be examined," Gamzo said. "The committee will check what the right balance is, and at the same time examine a way to increase resources that would allow the development of the medical tourism industry that doesn't come at the expense of Israeli patients." Currently, Israel gets some 30,000 medical tourists a year, mostly from the former Soviet Union. The Health Ministry estimates that they bring the health system some NIS 200 million a year, of which more than NIS 100 million goes to government hospitals. Outside experts put the total much higher, at almost NIS 500 million. The six committee members appointed by Gamzo, including hospital officials, public officials and academics, will deliver the probe results within a month. Health Ministry estimates medical tourism is bringing in some NIS 200 million a year, of which more than NIS 100 million goes to government hospitals. Medical tourism is big business worldwide, and Israel's medical establishment is eager to grab a piece of it. And there is no denying that medical tourism is good for the economy. But a Haaretz investigation found that if medical tourists enjoy conditions Israelis can only dream of, including very short waiting times for procedures, the right to choose their own doctor and private rooms. And these benefits may well be coming at the expense of Israeli patients' care. And people involved in the field say the potential is higher still: Neighboring Jordan, for instance, attracts some 210,000 medical tourists a year. Africa is considered a particularly promising source of more medical tourists, and the Ministry of Tourism - which launched a marketing campaign a few months ago aimed at attracting medical tourists - is also targeting the United States. The Ministry of Health, for its part, is working on signing bilateral agreements with other countries. Advocates of medical tourism - who include virtually the entire medical establishment - see nothing but benefits: The infusion of money into Israel's perennially cash-strapped health system will enable hospitals to hire new staff, open new wards and purchase new equipment. Moreover, they say, it will not come at the expense of Israeli patients, because medical tourists are treated only after 3 P.M., when the official hospital working day ends. But it is far from clear that these optimistic predictions will prove true, for one major reason: The field is totally unregulated. No laws or regulations whatsoever govern this business; the only limitation hospitals face is a 1995 directive issued by the Health Ministry's director general, which states that medical tourism must not come at the expense of the Israeli patient. And when large sums of money intersect with a total lack of regulation, hospitals have an enormous incentive to go for the cash even if the Israeli patient suffers. "In the absence of rules, medical tourism services will undermine the medical service given Israeli residents," Health Ministry comptroller Aryeh Paz warned recently. Paz plans to open a sweeping probe in the near future aimed at determining to what degree this is already happening. But there are several reasons for concern. First, judged by two key measures, Israel's medical infrastructure is already substandard in comparison to other Western countries: The average hospital stay in Israel is only four days, compared to an OECD average of 6.7, and Israel has only two hospital beds per 1,000 residents, compared to an OECD average of 3.8. Among OECD nations, only Mexico fares worse. One result is very long waiting times for non-emergency procedures. The state comptroller, who examined this issue in a report published last year, found that the wait for an ear, nose and throat operation, for instance, was six to seven months at Sheba Medical Center in Tel Hashomer and 13 months at Western Galilee Hospital in Nahariya. But no medical tourists will come here if they have to wait days or months for a procedure. Danny Angel, marketing director of the private Assouta Medical Center in Tel Aviv, was explicit on this subject. "The medical services received by tourists in Israel must be identical to those received by Israelis, with one exception," he said. "Service must be quicker in the diagnostic sphere. If a tourist has to wait 10 days for a CT or MRI scan, that would make his treatment significantly more expensive" - and hence, less attractive. But if medical tourists are pushed to the front of the line for such tests, waiting times for ordinary Israelis will inevitably lengthen - especially in the departments most frequented by medical tourists, which include the cancer, cardiac and in vitro fertilization units. Nor does the argument that medical tourists are treated only after regular hours hold water. Today, hospitals also treat many Israelis after regular hours. This is a way for doctors to earn extra money, since they receive extra pay from the hospital's research fund for such overtime operations, and it also reduces the pressure during regular hours. But if medical tourism begins occupying more of the overtime hours now utilized by Israeli patients, then waiting times for all Israelis will grow. Finally, in the absence of regulation, there is no guarantee that hospitals will in fact invest the revenues from medical tourism in new staff or equipment that would benefit all Israelis: They might prefer to use this money for other purposes instead. One thing, however, is certain: Medical tourists get preferential treatment. Haaretz called Sheba Medical Center - Israel's leading provider of medical tourism services, with revenues of NIS 55 million a year - to inquire about an operation to remove a kidney growth from a 60-year-old woman from abroad. A 60-year-old Israeli woman, according to the state comptroller's report, would have to wait two or three months to have this operation done at Sheba. But Sheba's representative assured Haaretz that was not the case for tourists. "You tell me a week before you're arriving and I'll arrange everything," she said - first the diagnostic tests and then the operation. "Generally, the operation takes place within a few days." The representative admitted that there are "separate lines" for tourists, with a few appointments reserved each day for them. Moreover, tourists are allowed to choose their preferred surgeon, which Israelis are not. At the very least, if for some reason the chosen doctor is unavailable, the tourist is guaranteed treatment by one of the hospital's senior physicians. Asked for comment, a Sheba spokesperson did not deny the preferential terms. "When a tourist comes to the hospital, we try to operate on him as soon as possible," the spokesperson said. "You can't expect him to wait several months for an operation." It is hard to see how all this can fail to come at the expense of Israeli patients. If certain MRI slots are reserved for tourists, that leaves fewer slots for Israelis. And if tourists get first shot at senior surgeons, those surgeons have less time available for Israeli patients. Yet the Health Ministry has thus far declined to start regulating medical tourism - in part because of the enormous pressure it has come under from the hospitals, which do not want anything hindering what has become a booming business. Between 2005 and 2009, for instance, Tel Aviv's Ichilov Hospital saw its medical tourism revenues increase more than fivefold, from NIS 7 million to NIS 37 million. Assaf Harofeh Hospital in Tzrifin saw its revenues quadruple, from NIS 1 million to NIS 4 million. Prof. Gabi Bin Nun of Ben-Gurion University's Health Systems Management Department, who formerly served as the Health Ministry's deputy director general for economic affairs, put the issue bluntly. "The right way to operate medical tourism is by first solving Israel's existing problems," he said. "Given the existing problems, it's hard to understand how the Health Ministry can be interested in expanding medical tourism." While worse treatment for Israeli patients is the primary concern raised by the unregulated state of medical tourism, it is not the only one. For instance, two government hospitals, Rambam Medical Center in Haifa and Sheba in Tel Hashomer, contracted with businessman Noam Lanir this year to market their medical tourist services over the Internet. That would be unexceptional, were it not for two things: First, the contract was signed without a tender, though government bodies are legally obligated to issue tenders for all contracts. Second, Lanir, a private businessman, is now serving as the official representative of two government institutions. His company's phone number appears on official hospital papers, and one of his employees represented himself to Haaretz as an employee of Sheba. These issues raised enough questions that both the Health Ministry's legal department (in response to an inquiry by Haaretz ) and its comptroller are now investigating. But even more troubling are the specifics of Lanir's contract with Rambam. Lanir told Haaretz that the hospitals have the right to halt the influx of medical tourists if they are getting overcrowded, so as to ensure that Israeli patients do not suffer. But a draft of the contract with Rambam, a copy of which was seen by Haaretz, obligated Lanir to "meet the revenue targets" set by the hospital. That would seem to require him to provide a certain number of tourists regardless of whether or not the hospital could handle them without affecting its treatment of Israelis. Rambam, however, denied this. "There are no quotas for medical tourism activity," it said. "This activity will take place in accordance with the hospital's capabilities in the relevant specialties, without harming the services provided to citizens of the state." The Health Ministry said it viewed medical tourism as "an enterprise whose development can be encouraged as long as it does not harm the availability of medical treatment for Israeli citizens during hospital working hours. In other words, medical tourism must not be expanded as long as there is insufficient infrastructure and manpower outside working hours to provide the tourists with medical treatment, and as long as the availability of care for Israeli citizens is being undermined. The ministry plans to cooperate with the Tourism Ministry and the Finance Ministry to examine the creation of suitable conditions for conducting orderly medical tourism." An internal report contradicts the findings of a ministry panel of inquiry, which determined there was no scientific basis for tests done on multiple sclerosis patients at Ichilov. Teva Pharmaceuticals and Ichilov Hospital were recently absolved of charges earlier attributed to them by a Health Ministry commission of inquiry. The report absolving them, released by ministry ombudsman Prof. Haim Hershko, was in fact forwarded to the ministry's director general some 18 months ago, but its existence only recently came to light. In July 2006, trials began in six countries (including Israel ) on Copaxone - Teva's leading drug for the treatment of multiple sclerosis. In Israel, tests were conducted on 13 multiple sclerosis patients in the neurology department of Tel Aviv's Ichilov Hospital. Three months after that study at Ichilov began, Prof. Michal Schwartz, a scientist at the Weizmann Institute of Science who was engaged in preliminary studies with mice, contacted Teva with a warning. The dosages of the drug being administered to multiple sclerosis patients (a double daily dose ) may be harmful, she told them. In May 2007, Schwartz again warned Teva executives of the dangers she perceived. Later on, her findings were sent to the director of the multiple sclerosis clinic of Ichilov, Dr. Vivian Drori, who had enlisted and treated the patients being used in the trials. At this stage, the option of sending the patients a letter in which they would be updated on medical developments was considered, but at Ichilov and Teva it was decided that such a letter would not be sent. After about a month, the story was disclosed in the media and created a stir. The Health Ministry began investigating complaints filed by the patients who'd participated in the tests, who claimed the information about previous studies using mice had been concealed from them. After the story was exposed, four Israeli patients stopped their treatment with Copaxone. The original commission of inquiry, headed by the president of the bioethics committee at Hadassah Hospital, Prof. Jacques Michel, wrote in its report that it had not been presented with convincing proof of Copaxone's effectiveness during the trial stage on animals, which preceded the trials conducted on human patients. "The multiple sclerosis patients participating in the study are at risk. Apart from the possibility that the experimental treatment will hasten the progress of their disease, there is the possibility that their quality of life will be worsened as well," the inquiry panel wrote. The report indeed states that no damages to the participants of the Copaxone tests were indicated, but the committee also determined that it is not possible to ascertain whether or not the drug had harmed patients, as there was no follow up conducted of their condition after a year. "There was no clear scientific or safety basis for conducting the trial, and the consent form was formulated in a vague fashion," the report stated. The committee also criticized Dr. Drori's handling of the trials, stating she acted "as one whose first obligation is to the company conducting the trials, and not the participants in it." Teva was also criticized by the panel and it was further determined that the company could have conducted its tests on humans using smaller doses than what was actually decided on. The inquiry committee's report was signed in April 2009 and sent to the Health Ministry's ombudsman for review. A month later appeals of the findings were submitted to the ministry as well. It recently came to light that, in an unusual step, the ombudsman decided to form a new team, which he would head, and to write an additional report rejecting the accusations against Teva and Ichilov. That team's report, sent to the Health Ministry director general in June 2009, just two months after the original report, stated "there are weak points that severely undermine the conclusions and recommendations of the inquiry committee." The new team criticized the previous panel, which did not note in its findings that the drug trials had received approval in Europe. According to the new team, the original commission of inquiry "sharply criticized the scientific and safety basis of the study, but ignored important data that supported its planning." The two reports were brought to the attention of the director general of the Health Ministry at the time, Dr. Avi Yisraeli, but in a closed process, without the ministry declaring which set of findings it supports. This past January, three patients who had participated in the study sued Teva, Ichilov Hospital and Health Ministry officials. Evidence in the case is currently being submitted by all parties, with a hearing set in another week and a half in the Petah Tikvah District Court. Hershko's report was included among the documents submitted by Teva. The chairman of the original commission of inquiry approached the Health Ministry's current director general, Dr. Roni Gamzu, requested that an investigation be conducted to determine how the second report was leaked to Teva. He claims that it is an internal report, intended solely for the previous director general. Gamzu made it clear that he cannot discuss the matter due to a conflict of interests: Until recently he served as deputy director of Ichilov Hospital. "The fact that Teva is trying to use a document that should not have ever been in its possession is a very serious matter," says Michel. "The transfer of the document is contrary to arrangements made with the Health Ministry's director general at the time." The attorney representing the patients filing suit, Ahuva Ticho, recently contacted the ministry, requesting that Hershko's actions be investigated. "As far as we are concerned, the problem is that the commission of inquiry did its job, gathered testimony from the people involved and issued a grounded and signed report. But the Ministry of Health's ombudsman is portraying himself as an investigative body and issued a report that contradicts the original panel's findings - without gathering testimony and without any legal basis," says Ticho. The ministry issued the following response: "In the wake of the reports submitted to the [former] Ministry of Health director general, Prof. Yisraeli conducted a comprehensive hearing on the treatment of multiple sclerosis patients. Yisraeli instructed the relevant health officials to [stay within the limits of] the authorities they are granted regarding clinical trials." It was further stated that "Teva and the Ichilov Hospital administration were asked to convey to the participants in the trials, or to their families, the results of the study. Teva was also asked to convey to the Health Ministry any information it possessed regarding suits or investigations in the other countries participating in the tests. The lead investigator provided explanations regarding her actions at every stage of the study, including the delay in forwarding the information to the patients. 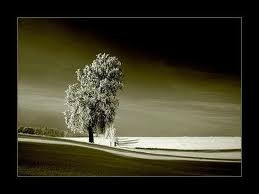 All the directives were carried out." 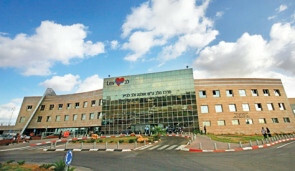 Teva and Ichilov Hospital officials opted not to comment on the matter. At least nine people, including former senior Health Ministry official, suspected of involvement in international network. Israeli citizen Moshe Harel listed as wanted by Interpol. At least nine people, including a former senior Health Ministry official, are suspected of involvement in an international network that falsely promised poor people payment for their kidneys, then sold the organs for as much as €100,000 ($137,000), according to an indictment obtained by The Associated Press. The indictment is the starkest revelation of the extent of organized crime in the country since Kosovo declared independence in 2008. The organized criminal group trafficked people into Kosovo for the purpose of removing human organs for transplant, EU prosecutor Jonathan Ratel said in the indictment, which he filed in mid-October. Some 20 foreign nationals "were recruited with false promises of payments" in 2008, he wrote. Victims were promised up to $20,000 (€14,500), while recipients were required to pay between €80,000 and €100,000 ($110,000-$137,000). According to the indictment obtained by the AP on Thursday, the victims came from Moldova, Kazakhstan, Russia and Turkey, and lived in "extreme poverty or acute financial distress." The EU prosecution has made requests to secure evidence from authorities in Canada, Germany, Kazakhstan and Turkey, including access to e-mails of two suspects on servers in the United States. Ratel is part of the EU's 2,000-member police and justice mission, which is in charge of serious crime in Kosovo. Seven Kosovo nationals, including Ilir Rrecaj, a former senior Health Ministry official, have been charged with five counts, ranging from trafficking in persons to unlawful exercise of medical activity and abuse of power. None of the suspects are in custody. Kristiina Herodes, a spokesman for the EU rule of law mission confirmed the charges. "Five persons have been charged with offenses of trafficking in human organs, organized crime and abusing official authority and two are charged with unlawful exercise of medical activities," Herodes said Friday. Two others Turkish Dr. Yusuf Sonmez and Moshe Harel, an Israeli citizen are listed as wanted by Interpol. Sonmez is the subject of several criminal proceedings in other countries, including Turkey, for human trafficking and removal of organs, according to the indictment. "Both Sonmez and Harel are fugitives from justice," the indictment said. The prosecution alleges that one of those indicted, Kosovo surgeon Lutfi Dervishi, was the ringleader of the criminal group. It said Dervishi attended a medical conference in Istanbul in 2006 and asked for someone who could perform organ transplants. He was contacted by Sonmez six months later. Dervishi and Sonmez then carried out the operations in the private medical clinic Medicus, managed by Dervishi's son, Arban Dervishi, who is also indicted. Harel was involved in "identifying, recruiting and transporting victims" and "ensuring the delivery of cash payments by electronic bank transfer" prior to surgery, the indictment said. Two other doctors, Sokol Hajdini and Driton Jilta, are also indicted. Another two doctors, Israeli national Zaki Shapira and Turkish national Kenan Demirkol, are identified in the 46-page document as "unindicted co-conspirators." In 2008, investigators closed the private health clinic where the doctors worked as part of the initial investigation. Kosovo police launched a raid triggered by suspicions that a Turkish man had sold his kidney to an Israeli recipient after he appeared fatigued at Pristina airport while trying to board a flight to Turkey. The man, identified in the indictment as Yilman Altun, told Kosovo police at the airport he came to the Balkan country to donate his kidney on the invitation of the private clinics. A doctor found Altun was not in good medical condition, and sent him to the Pristina hospital for treatment. When police searched the clinic in November 2008, they found an Israeli citizen in postoperative care, according to the indictment. Police seized medical records and supplies. Rrecaj was fired from his governmental post after the raids and the suspects were arrested on November 4, 2008. They denied all accusations and were released after 30 days in detention. Soon after the raid, the Belgrade-based daily newspaper Blic alleged that Dervishi was linked to allegations that members of the Kosovo Liberation Army kidnapped Serb civilians and killed them for their organs, which they later sold. The allegations of the trade stemmed from a book by former UN War Crimes tribunal prosecutor Carla Del Ponte who claimed that organ harvesting took place in Albania's remote north. Subsequent investigations did not substantiate the claims. The indictment has been filed in a local court and a hearing is scheduled for the end of the month, according to EU officials. The prosecution can still add the names of other suspects to the indictment and details of their alleged crimes. The EU has 2,000 justice workers in Kosovo, including police, judges and prosecutors.